Performances for Shakespeare in Love run July 19 through August 11 2018. 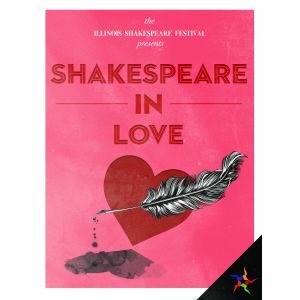 The Illinois Shakespeare Festival (ISF) announces canine auditions for Shakespeare in Love. Performances run July 19 through August 11 at the Center for the Performing Arts (CPA) Theatre on the campus of Illinois State University. Based on the 1998 movie Shakespeare in Love famously features “comedy, love, and a bit with a dog.” Does your dog have what it takes to be a Shakespearean actor? Auditions will be held from 10 a.m. to noon Saturday, April 21, in the CPA Theatre. ISF seeks a well-trained dog of any medium- to small-size breed (approximately 12 to 40 pounds) that is available for all 10 performances as well as several rehearsals, with flexible dates between June 5 through July 18, to be arranged at a later date. Dogs should be comfortable around crowds of people and children. We are especially interested in dogs that can perform tricks. To schedule an audition, owners should sign up for a 10 minute slot by sending an email to isfcasting2017@gmail.com and include their contact info, as well as the name, breed, and full-body photo of their pup. Audition slots are first come, first served.